The concept of finding revenue in wood waste just reverberates with the wisdom of Ben Franklin. He would have absolutely detested the idea of sending sawdust to the landfill (“waste not, want not”) and he would have reveled in the idea of selling rather than burying it. Franklin is often quoted as saying that a penny saved is a penny earned, but one of the things he actually said was that “a penny saved is two pence clear”, which theoretically doubles the rewards. It turns out that old Ben wasn’t just a talker – he was quite savvy about finances. And that’s probably one of the reasons that he was chosen to grace the $100 bill. The honor of appearing on paper notes is usually reserved for presidents, with the notable exceptions of Mr. Franklin and Alexander Hamilton. For example, Ben bequeathed £1,000 each to the cities of Boston and Philadelphia in his will, and when the trusts became due in 1990, those minor gifts had grown to over $7 million! Plus, that was after a sizeable portion of each had already been withdrawn after the first hundred years. Given that success, we might be ill-advised to discard his thrifty advice, or the woodshop waste. So, following are some ways in which both small and large shops can squeeze a few dollars from the dumpster. 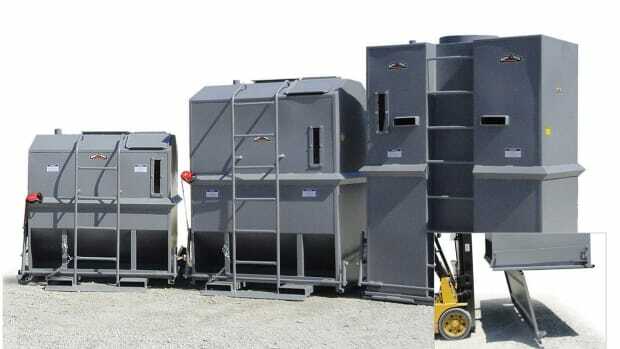 Sawmills and larger casework shops will often use bag systems, where a truck drives under a gravity plenum or hopper and the dust drops into the back end. From there the debris goes to particleboard, chipboard or wood pellet plants, depending on its composition. If it’s clean enough, some finds its way into specialty uses such as poultry and animal bedding, or perhaps as an element in compost or weed retardant for landscaping. Geography, however, also plays a role: in the absence of a railway spur, a mill or production shop that is located more than about 50 miles from a metropolitan area has far fewer options to recoup some revenue. That’s because waste can be cumbersome, heavy and expensive to ship over the road. In those situations, the best solution is probably to find a way to use the waste in-house, rather than selling it. That usually means burning it. The term biomass generally refers to organic waste material that is used as a fuel, most often for heating or generating electricity. Sometimes, wood-based biomass becomes a component of a liquid fuel, not unlike the way that corn is used to create the gasoline additive ethanol. In a paper titled “Wood Biomass for Energy”, the Forest Products Laboratory (part of the U.S. Department of Agriculture) lists a number of advantages to wood fuel including that it is renewable, lower in CO2 emissions than fossil fuels when burned, doesn’t contribute to acid rain, contains minimal amounts of sulfur and heavy metals, and is significantly less expensive than competing fossil fuels. These are all points that a larger woodshop can use in marketing its waste wood. They might also be used to persuade potential purchasers of biomass who are not yet on board that, given the availability of cheap fuel from the woodshop, they might consider the purchase of a biomass furnace as part of their energy consumption strategy. For woodshops that are looking for such a market or even a single client, the Lab suggests that “public institutions such as schools, hospitals, prisons and municipality-owned district heating projects are prime targets for using wood biomass energy”. Whether it’s on site, or sold to a third party for use, biomass technology can be used in several ways to extract dollars from debris. Combustion is the most obvious: it directly creates heat that is delivered as forced air, or through hot water radiators, or it can be used to generate steam that runs an electric generator, or heats a dry kiln. Next is gasification, the process of heating the biomass in an oxygen starved environment until it releases combustible gases that can be burned as fuel. Then there’s CHP (combined heat and power), which is any process that simultaneously delivers both heat and electricity. And less frequently, wood biomass is co-fired, which means it is burned with coal to save costs and reduce harmful greenhouse gas emissions. 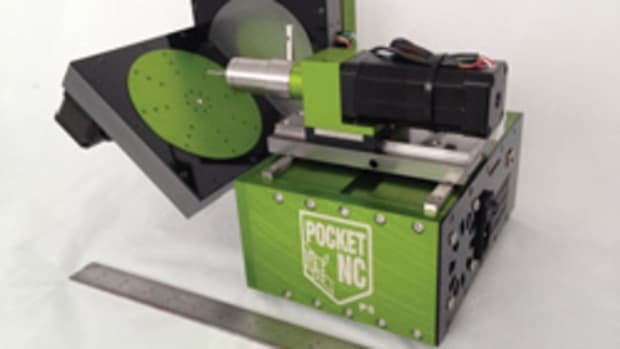 The main market for woodshop waste in the co-fired world is going to be electricity generating power plants that are operated by public utilities. Another burgeoning market for larger waste producers is the third-party solution. There are many companies that deliver wood fuel by truck, rail, barge and ship, and will do so almost anywhere on the continent. Always hungry for suppliers, such companies will consider buying anything from a 20-yard container to a trainload. Rather than processing the waste themselves, they simply trade in it. If your shop generates a lot of waste, wood biomass energy is something to consider. 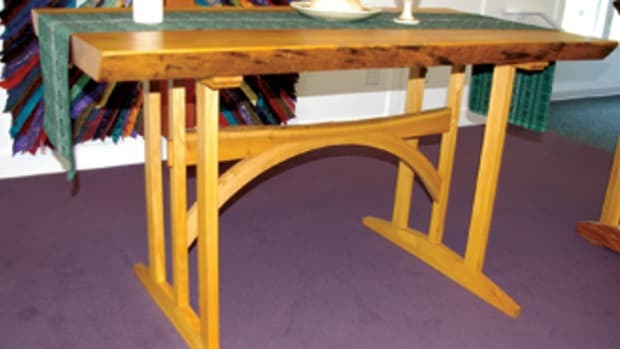 A woodshop doesn’t need to be producing massive amounts of waste to find revenue in the refuse. For example, even very small hardwood mills need a dry kiln, and it makes sense to create at least some of the drying heat by burning leftovers. One popular way of doing that is blowing sawdust into a combustion chamber after it has been ground into a fine powder. The burner in turn heats water that is piped through the kiln, producing dry, predictable and very controllable heat. 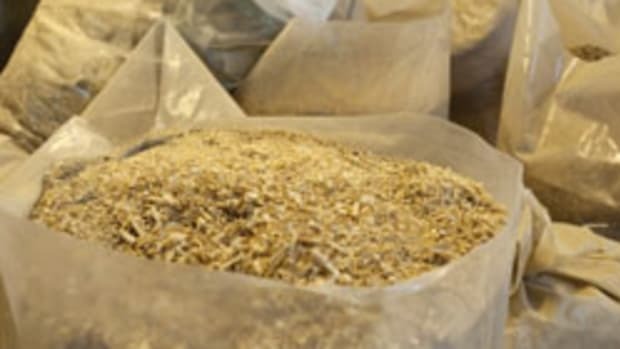 If you’re anywhere on the continent that experiences even a mild winter, it will be easy to find factories or plants that turn sawdust into burnable wood pellets. Many smaller shops both sell to and buy from such facilities. The woodshop’s sawdust hopper decants into a trailer/container that gets picked up on a fixed schedule, and the pellet factory buys the wood waste based on weight and/or volume. 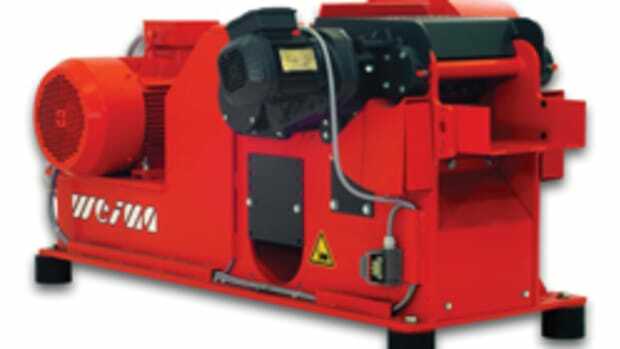 Some plants will also purchase cut-offs (drop) from cross-cutting saws, which are shredded to create viable biomass. This and the sawdust have to be ground fine, and magnets and screens are used to remove metals. Most plants will only consider dry wood, as drying any green lumber can add significantly to both manufacturing time and cost. Many woodshops buy back some of the finished pellets to fuel their own heating needs. 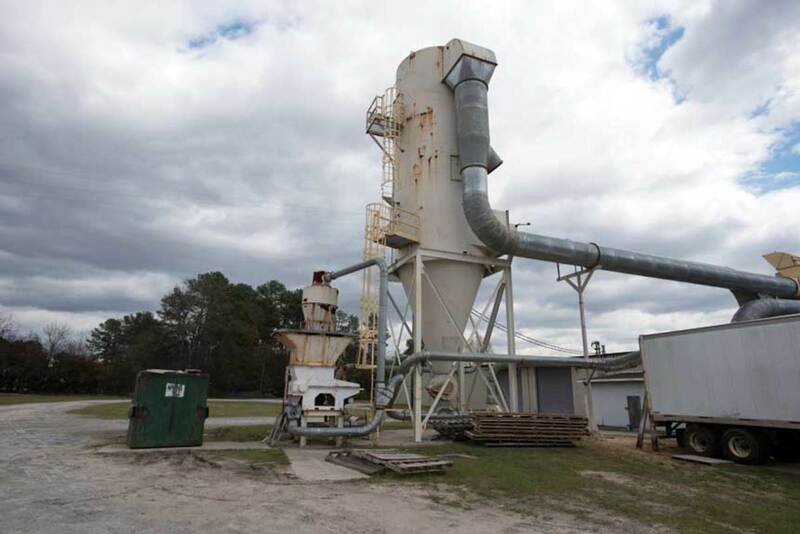 This symbiotic relationship allows the shop to avail itself of both revenue from waste and greater energy efficiency, and do so without investing large amounts of capital in processing equipment for combustion or power generation. 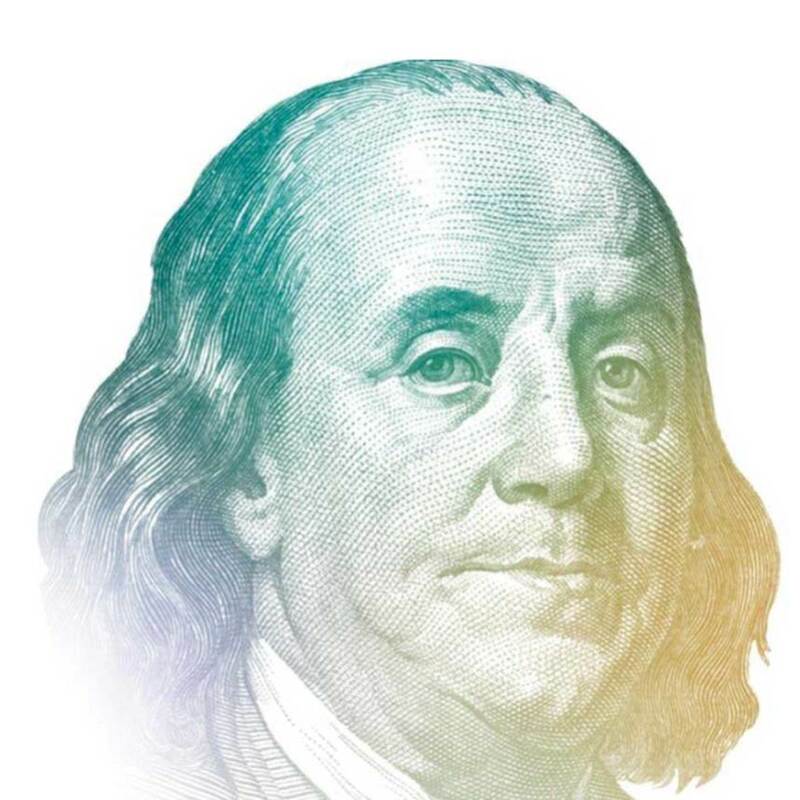 By transforming errant waste into a uniform fuel (pellets), the woodshop can use very efficient boilers and save a few more of those portraits of Ben Franklin. Another option is to bring the pellet making on-site. Processed pellets are a lot lighter and more compressed than raw sawdust, so they are less expensive and a lot easier to ship to customers. Small pellet making and bagging machines are now available that make this possible. 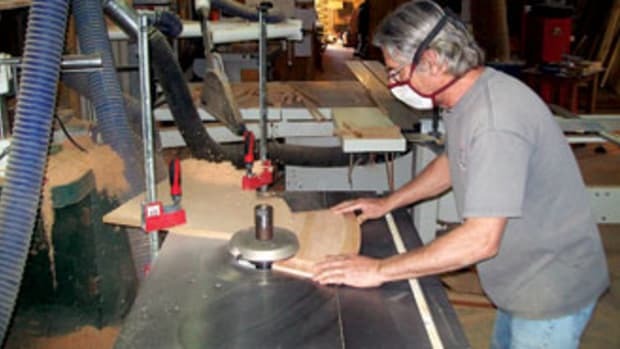 However, depending on the woodshop’s location, there can be a lot of red tape involved because of the dangers of explosions, forest fires, pollutants and the level of noise being generated (it’s really loud). Some processes use glue or binders, but nowadays the better technology is to introduce enough heat and pressure to start liquefying the lignin in the wood. This natural binder is a complex polymer already present in the cell walls – it’s what makes boards rigid and hold their shape. If you’re going to sell to a restaurant or street caterer running one of the new generation of pellet burning barbecue and outdoor oven units, they may require the complete absence of chemical binders. Firewood is a time-tested way to recover revenue from waste, especially the drop from sawmills but also from gang rips and even molding operations. The investment here depends on the market, but so do the rewards. Perhaps the most lucrative route for a one or two-man shop is to buy a firewood bundler (about $2,500 for an entry-level set-up with a roll of plastic wrap) and sell bundles of tinder to campgrounds, convenience stores, etc. Wood fireplace dealers can be helpful in finding customers with wood-burning stoves. A couple of people can probably cut and wrap a hundred bundles an hour, tops, so it’s labor intensive. Again, check for local rules before investing any time or money, as some state and federal campgrounds won’t buy or even allow certain species on the property because of beetles, borers and other bugs. Subject to local laws, a woodshop can burn almost any wood waste in its own outdoor wood furnace. No matter what method you choose to reap revenue from rubbish, be aware of the time being spent here. 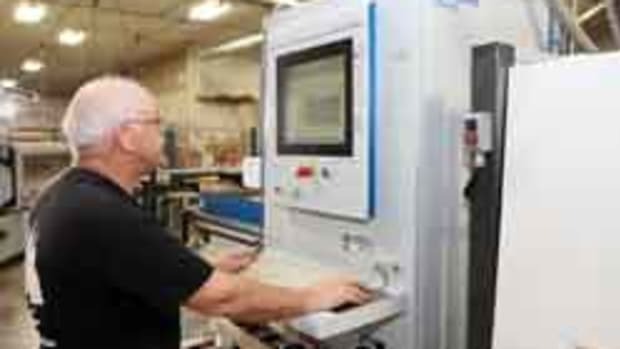 Would it be wiser to spend those man hours on the shop floor, building cabinets? Ben had something to say about that, too.